Mass Effect 3 Multiplayer Confirmed, Is This A Good Thing? For weeks rumors have been circulating of Bioware’s secret multiplayer addition to their popular space opera RPG Mass Effect 3. When I first heard of this rumor I was praying with all hope that it would stay a rumor, as I would much prefer Bioware to pour all their resources into making the ultimate single-player experience. Many will not agree but in my opinion this type of franchise should stay single-player, but of course gamers have been spoiled this generation with online play, even when unnecessary. Well it seems that there is indeed truth to the rumor as an Australian magazine has confirmed the multiplayer in an upcoming issue of their magazine. The cover of the magazine in question is below, along with a quote from the article itself. “That’s right – Mass Effect 3 is getting multiplayer! We travel to BioWare’s office in Edmonton for hands-on time with the series’ first foray into online gameplay, and chat with Mass Effect Series Producer and Mass Effect 3 Project Director Casey Hudson about the decision to go multiplayer in the epic battle for the galaxy,” it says. 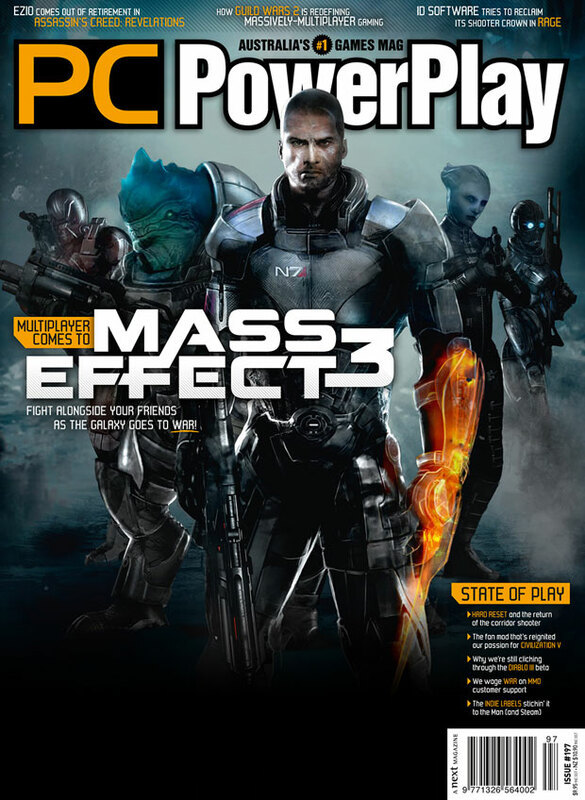 Also note that the cover reads ““Multiplayer comes to Mass Effect 3. Fight alongside your friends, as the Galaxy goes to war!” – Which may suggest that the multiplayer will be in the form of Co-op only. I for one would hope that the multiplayer wouldn’t include a ‘Deathmatch’. I’m pretty sure they’ll be mixed reactions on this concept, so we would love to hear some of your personal thoughts on this. Is this really a good direction for both the series and Bioware? Speaking as a fan who is passionate about Bioware’s recent work, I think they should just stick to the MMO’s when it comes to multiplayer. Multiplayer and role-playing only mix well in an MMO environment, but hey it seems as though they’ve been steering Mass Effect away from the RPG category anyway.